See PROSPECTUS FAQ here and prepare to register for the 2018 cohort. 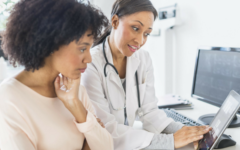 Minority women are the fastest growing segment of entrepreneurs, yet recent studies have shown that businesses owned by women of color are less likely to be selected for funding from angel investors and other financial institutions. We are excited to continue our work in dissolving this disparity with the PROSPECTUS Online Business Accelerator Program. 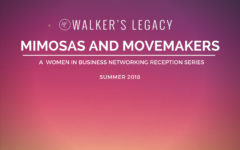 Walker’s Legacy presents, PROSPECTUS, a 9-week accelerated online entrepreneurship training program that utilizes original curriculum, a cohort model, and a structured learning environment to aid multicultural women entrepreneurs and business owners in scaling and commercializing their entrepreneurial ventures. Participant entrepreneurs collaborate with and learn from industry leaders, professors, investors, government officials and peer entrepreneurs. 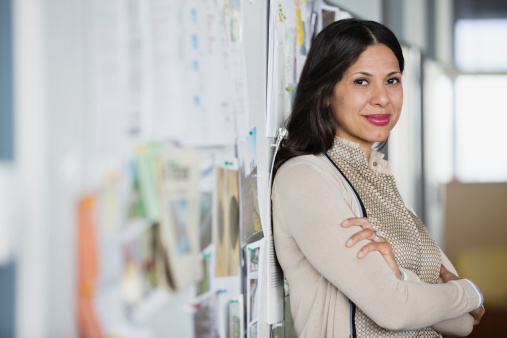 Through participation, women business owners and entrepreneurs will develop the important resources, skills, and networks needed to successfully build and maintain a prosperous business. Development of important resources, skills, and networks needed to successfully build and maintain a prosperous business. 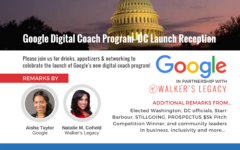 Networking and Funding Opportunities: Participants are able to compete for prize funding during the Walker’s Legacy National Pitch Competition and Entrepreneurship Summit (Detroit, MI). There, participants have the opportunity to network and pitch their venture in front of a national audience of industry leaders, potential investors, and professionals. Additional information on PROSPECTUS and registration can be found in the FAQ here. The Spring 2017 program was sponsored by HPE, Google, and Wells Fargo, and hosted a cohort of 75 women in from cities across the United States including Bronx, NY, Washington, DC, and Atlanta, GA. Five (5) finalists joined Walker’s Legacy for the National Pitch Competition and Entrepreneurship Summit in Houston, TX for the opportunity to win $5,000 in prize funding. Read more about last year’s PROSPECTUS Cohort here. Do I have a formal business in order to participate? I am currently in the process of starting a business, i.e writing the business plan, legalizing the name, etc. No you do not need to have a formal business plan to participate. So does the course focus more on how to start a business or how to grow a business? Hi Denise! Currently, scholarships are not available- yet the tradeoff of paying $100.00 to receive $5,000 is a benefit. Most loans that are funded require a loan processing fee in order to receive funding. This is a great all inclusive program to invest in yourself. I don’t doubt the value, I’m on a fixed-income (disability) the tuition is more than ten-percent of my month. Thanks for your prompt response! The money is a loan that has to be paid back? Hi Alyssa! The $5,000 funding is awarded as a prize and is not a loan that has to be paid back. Do you have to pay the $5000.00 back? Hi LaKisha! The $5,000 funding is awarded as a prize and is not a loan that has to be paid back. Is there a way to see all of the questions outside of google docs to prepare before submitting? Do all participants receive $5,000 at the end, or will one person receive the prize money? Hi Andrena! The $5,000 prize funding is offered to the 1st place winner of the PROSPECTUS Pitch Competition. Additional prizes are awarded to others who compete and place in the competition. Is this course offered once a year? Hi Chrycka! For now, PROSPECTUS is only being offered at this time. We look forward to bringing in additional cohorts in the near future. Is there a link to pay for the registration? I submitted the form but was not able to submit the money at the same time.